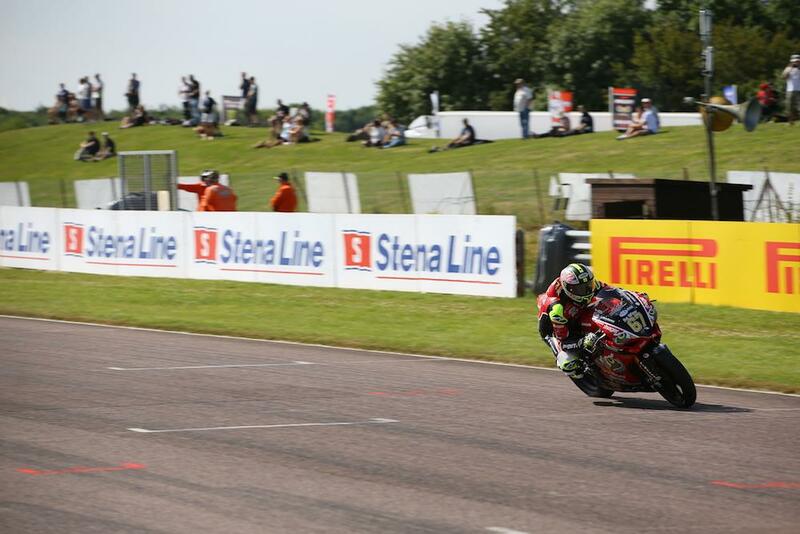 Shane Byrne’s weekend couldn’t have got of to a better start at Thruxton after he obliterated the outright lap record in free practice aboard the Be Wiser Ducati Panigale. The four-time British Champion was fast out of the blocks to top both sessions on the opening day at the Hampshire circuit, clocking a time of 1’14.390 in Free Practice 2 to dominate the field by almost a second. After finding Ducati’s Panigale R a handful initially at some circuits, the booming V-Twin seems to be at home on the fast, flowing Thruxton circuit, enabling Byrne to ride the bike how he wants as he looks to add to his tally of three wins so far this year. As the only rider able to consistently lap quickly on the softer tyre while also conserving his rubber, Byrne looks set to be the man to beat ahead of qualifying tomorrow and Sunday's two races.